The incredible beach at Fort George Cay. This is a really beautiful little uninhabited island. 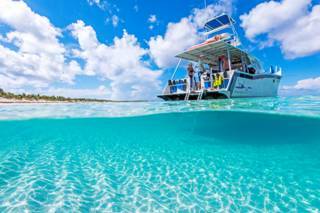 A perfect destination for day cruises from Providenciales. 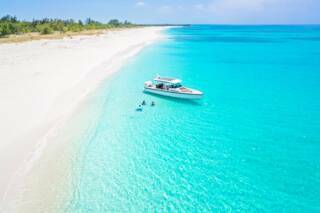 The movement of tides between this cay and Pine Cay has created a spectacular beach on the southwest of the island. Cannons in the water mark the site where Fort Saint George once stood. 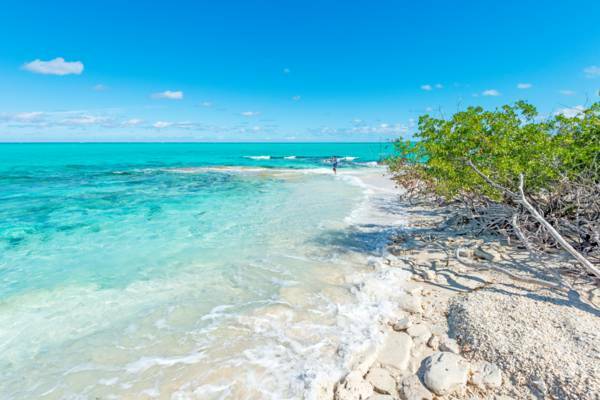 Fort George Cay (originally known as Fort St. George Cay) is a tiny scenic island found between Parrot Cay and Dellis Cay. The island is uninhabited and is popular with locals and visitors alike as a boat cruise destination from Providenciales. Spectacular beaches are found on both sides of the island. On the western coast near Pine Cay, a sand spit and sand bars have accreted, creating an incredibly beautiful setting. On the eastern side and adjacent to Dellis Cay, a less extensive yet equally beautiful beach can be found, complete with casuarina trees for shade. The former site of Fort Saint George. In 1795, a gun battery was constructed on the north end of the island by Loyalist planters to defend against pirates, privateers, the French, and Haitian revolutionaries. After a few years, the British took over the fort. Today canons from these defenses could be seen in the shallow water right off the beach. Archeological digs and studies that have taken place on Fort George Cay have revealed some fascinating facts about the fort and the cay. 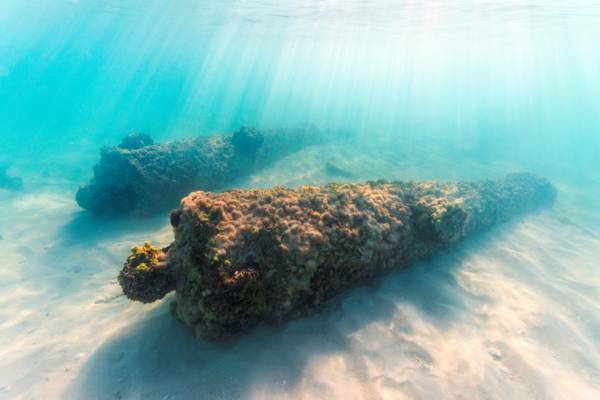 It appears that the island has suffered from serious erosion, loosing an estimated 150 feet over the last two hundred years, and that fortifications actually used to stand where the canons are found today in the ocean. Fort George Cay is a protected historical site and a national park and it is illegal to take or damage any artifacts.